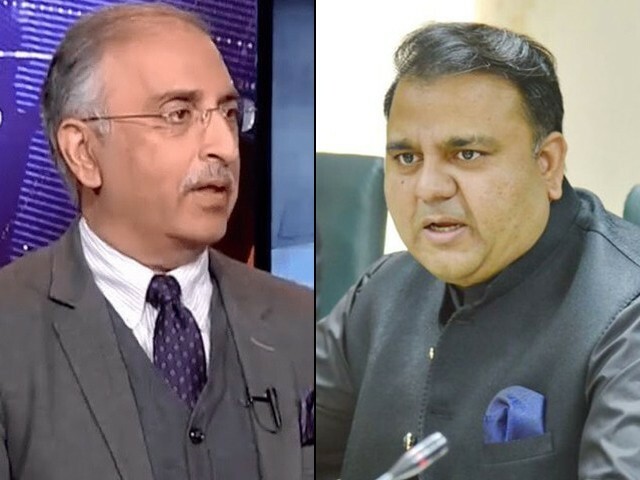 After Farrukh Saleem's criticism, Fawad Chaudhry tweeted that Saleem was never appointed as spokesperson for the government. The announcement that Dr Farrukh Saleem is in fact not the spokesperson on economic and energy issues is the latest event in the chain of comedies produced by the incumbent government of the Pakistan Tehreek-e-Insaf (PTI). Saleem was appointed as spokesperson for the government on economic and energy issues in October. Information Minister Fawad Chaudhry tweeted about Saleem’s appointment, and since then Saleem appeared on TV many times as the spokesperson for the government. However, Saleem recently criticised the economic policies and vision of the PTI government in a TV show. While criticising the government’s failure to address the root cause of the problem, Saleem stated that the current government has no clue about the economy and is only adopting temporary measures to thwart the economic crisis for the time being. He also criticised the government relying too much on borrowing from ‘friendly’ countries. The official govt spokesperson on economic issues basically says the government does not know what it is doing, has no plan to fix it, and should come up w an alternative plan. Not PML-N, not PPP, not a foreigner, not a lifafa. Soon after the programme, social and electronic media buzzed with Saleem’s criticism. Eventually, Chaudhry tweeted that Saleem was never appointed as spokesperson for the government, stating that since Prime Minister Imran Khan imposed a ban on new hires, Saleem’s appointment never held true and was not made official. And yet, almost all leading publications and media outlets carried the news of Saleem’s appointment, and he too openly embraced this title. On none of these occasions did the PTI government feel the need to inform the masses that Saleem was not yet an official spokesperson. But in yet another twist, Saleem revealed that he too was unaware that he remained an unofficial spokesperson, for he regularly attended meetings with the prime minister till December 24th. If he was not in an official position, why was he privy to information held in highly confidential meetings? Why was he not stopped from representing the government on TV if there was a hiring freeze? And most importantly, why has the PTI quickly distanced itself from Saleem following slight criticism? This incident makes it clear that Saleem was (unofficially) allowed to represent the government until his opinion deviated from the official narrative, making it obvious that the PTI is not amenable to criticism. Saleem was only ‘acceptable’ while he was defending gimmicks, unrealistic schemes like the five million houses, and bringing the ‘imaginary’ billions of dollars back to the country, but became ‘unacceptable’ the moment he offered a slightly different point of view and questioned the policies of the government in times of a financial crisis. Is the PTI government an authoritarian regime? If not, why can it not accept constructive criticism, even from within its own ranks? One is reminded of regimes under Joseph Stalin and Benito Mussolini, where criticism was considered personal enmity and anyone who disagreed was silenced. After all, PTI is the party which has blatantly criticised and accused political opponents of corruption and inept governance for the past five years. But when it comes to its own weaknesses and failures, it cannot bear even the slightest amount of assessment and reproval? One thing Imran and his comrades are unable to understand is that silencing criticism cannot alter facts and right now, the facts are endorsing Saleem’s statement – the government has no clue of what is happening around it. This is evident from the fall in GDP growth levels, the devaluation of the rupee, dwindling foreign reserves, the rise in inflation and price hikes in everyday commodities. The blame falls solely on Finance Minister Asad Umar, who actually has no idea how to tackle real issues in real time. After all, it is very easy to stand in public gatherings and criticise the policies of political opponents because it doesn’t take a lot of effort to make lofty claims. It does, however, take a deep understanding of the economy and governance to run the country and unfortunately on that front, the PTI-led government seems unsuccessful. Imran is surrounded by yes-men who like to appease him by making him believe his persona is enough to sort out all the problems of the economy and governance. This is the reason why his diehard fans consider anyone who criticises them in the least to be their enemy, falling in line with George Bush’s “you’re either with us, or against us”. The PTI government is very efficient when it comes to abusing critics on social and electronic media – why can it not extend this same efficiency towards running the country? Given the mess the country is in, the government must at the very least realise that criticism is the base of a democracy, and critics and journalists cannot be made out to be the enemy when they do to the PTI what the party itself did to the ruling party when it belonged to the opposition. Let’s also take a look at what the government is doing. As long as Imran and his cabinet keeps rewarding contracts like the Mohmand Dam to their own aides, and keep giving portfolios to their friends, the criticism will not stop. Likewise, not resorting to a long-term solution to reform the economy and instead relying on loans from international countries and institutions (despite saying that would not be the case) will also invite criticism. If Saleem, who has been a staunch supporter of PTI for a very long time, cannot defend the weak and vague policies of the government without being abandoned by the party, then who can? It is time for the government to do its own SWOT analysis in order to find its weaknesses and strengths. 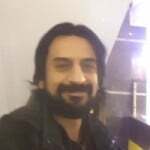 As far as criticism is concerned, using rhetoric and lofty claims while abusing journalists and critics by labelling them lifafa (paid) journalists will not stop the criticism – it will only make things worse. The government needs to stop proving critics right. There is also no logic in the often used argument that suggests 71 years of problems cannot be fixed in a few months. No one has asked the government to solve them immediately, but almost six months of governance are enough to at least devise clear policies, which we have not seen yet. No govt. wants a snake up their sleeve. Which is what Saleem has proven to be. Every spokesperson, minister, aide, secretary must follow the party line. Or leave. things on TV talk shows. It only shows your duplicity, sycophantism.